Richard has joined the circuit as our new Superintendent Minister from 1st September 2018. He comes to us from the Battersea and Wandle Valley circuit also South London, but he has previously served in rural and market town Kent, and for 11 years as a Mission Partner in Italy. He is married to Carol and has a son named John. 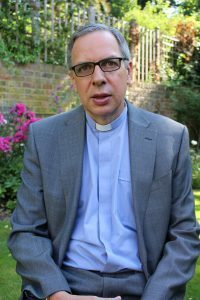 Richard has Pastoral charge of Lewisham and Eltham Park Methodist Churches. His interests include music, swimming and walking. He has a passion for building churches and building faith and is looking forward to serving this circuit.